Music is, without a doubt, a huge part of our lives. It teaches, motivates, inspires and instills us with great joy. 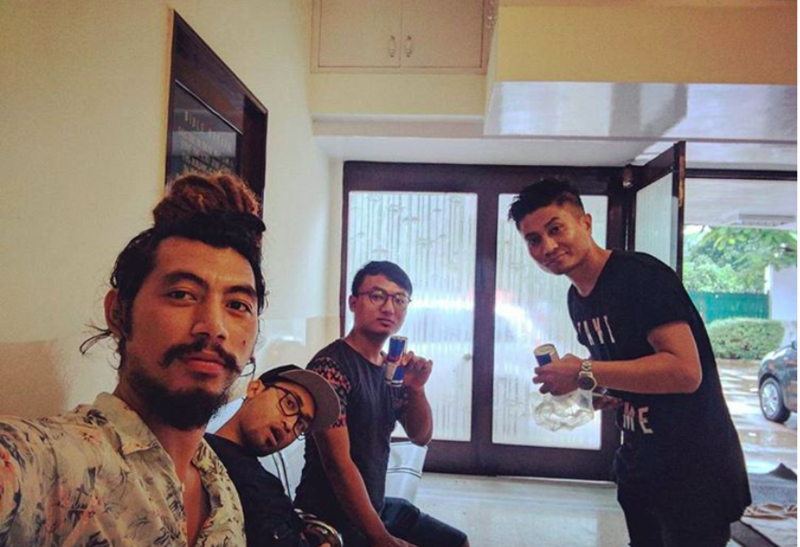 Maker Kashung from Manipur is someone that comes with a whole bunch passion for music and an unmissable talent for it. A very down to earth person and a spiritual man, read on to know more about this special soul. Today we have the talented musician, Maker Kashung from Manipur sharing all about his musical journey with us. He leaves us with important and inspirational advice on how to grow and work towards achieving even our craziest dreams. 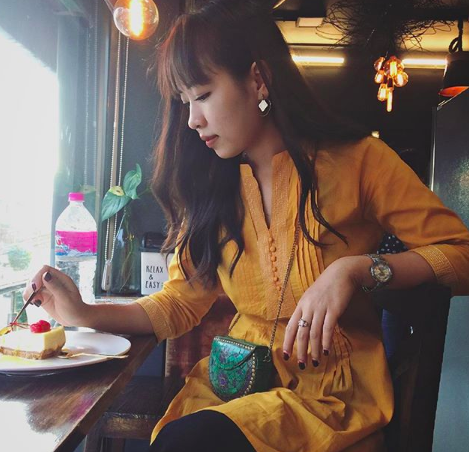 Cheerful Maker Kashung is a Delhi based soulful singer-songwriter, choir director, vocal coach and worship leader from Manipur. Hello Maker, tell us a little about yourself. My name is Maker Kashung and I am from Manipur. I am a singer-songwriter and a vocal coach based in Delhi. I am the frontman of an alternative rock band called Footwings. 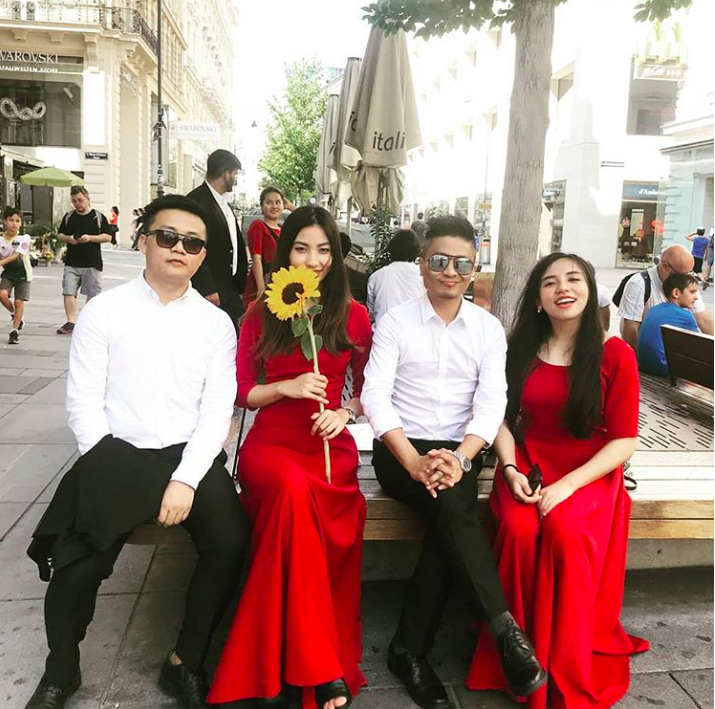 I’m also presently, the Choir Director of Tangkhul Church in Delhi. 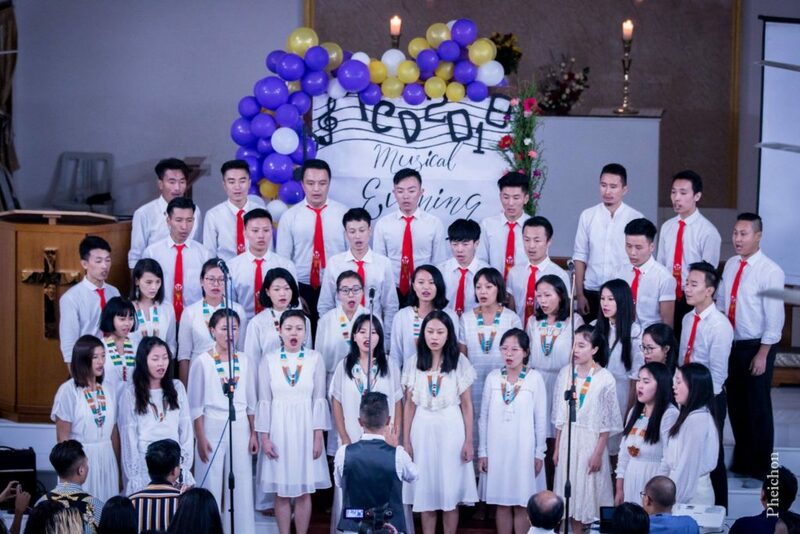 Maker Kashung conducting the choir of Tangkhul Church, New Delhi. My life revolves around music – I teach, practice with the church choir and conduct music workshops. I also love to travel and share my culture and life experiences with people around the world and listen to their life stories too. In my free, time I play Badminton and try to stay fit. What initially sparked your interest to become a singer and musician? I grew up listening to rock and pop bands. The thought that singers or musicians could enthrall a listener by influencing their minds and lives in different ways was something that fascinated me. Even though I’ve never said it out loud, I think that’s what sparked my interest and subconsciously driven my thoughts and actions. How have your roots and upbringing influenced your work and working style? My upbringing was pretty simple. I was encouraged to live free, be generous and gracious but at the same time, work hard. While I managed the former ones pretty well, the last one was something that took me some time. Today, I am very fortunate and extremely grateful to be a part of a collective worship band, Asia Pacific Baptist Youth, with awesome musicians from all over Asia. The highlight was when I led worship at the Baptist World Youth Conference in Singapore in 2013 where thousands of young people from all over the world gathered to celebrate. I’ve also had the opportunity to perform with a choir in Vienna at their famous Musikverein Golden Hall. That was really exciting too! Tell us about your work philosophy and what inspires you? My work philosophy has always been this – “Be sincere, be punctual, be committed, be honest and be gracious”. My inspiration comes from the principles derived from the Bible. It’s not easy to live by, but that’s the canon for me. Do you have a particular performance or project that you’re extremely proud of? First of all, I must honestly say that everything I have achieved is all by God’s grace extended through people who have been gracious enough to give me the opportunity when they could have given it to somebody else. Having said that I cannot single out a particular occasion. However, some moments do stand out for me. I am very fortunate and extremely grateful to be a part of a collective worship band, Asia Pacific Baptist Youth, with awesome musicians from all over Asia. We’ve been leading worship sessions and conducting workshops in our congregations and Youth Conferences since 2012. The highlight was when I led worship at the Baptist World Youth Conference in Singapore in 2013 where thousands of young people from all over the world gathered to celebrate. 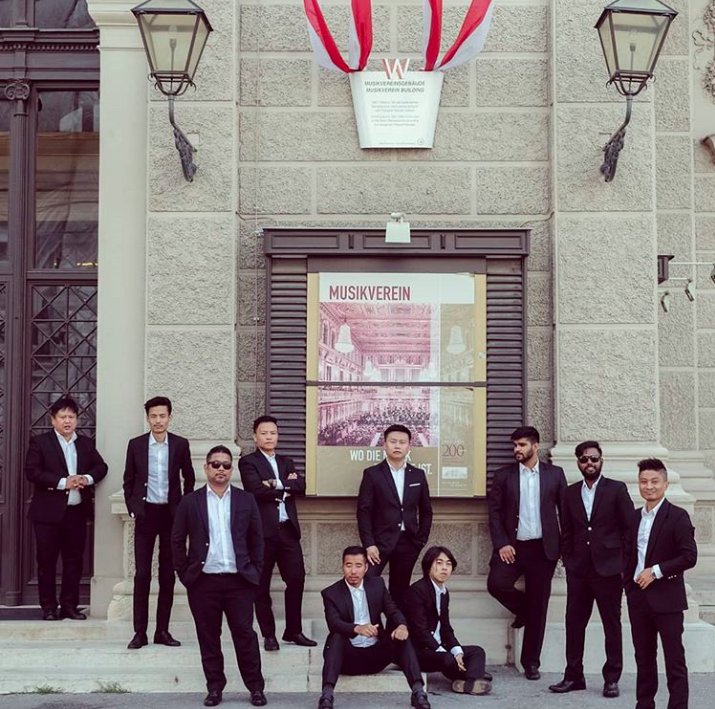 I’ve also had the opportunity to perform with a choir in Vienna at their famous Musikverein Golden Hall. That was really exciting too! What do you hope people take away from your performances? The one thing I would like my music to do is to touch and inspire the listener. More than people recognizing and lauding my creativity, I would like them to say that my music has touched them and inspired them to do good and great things. 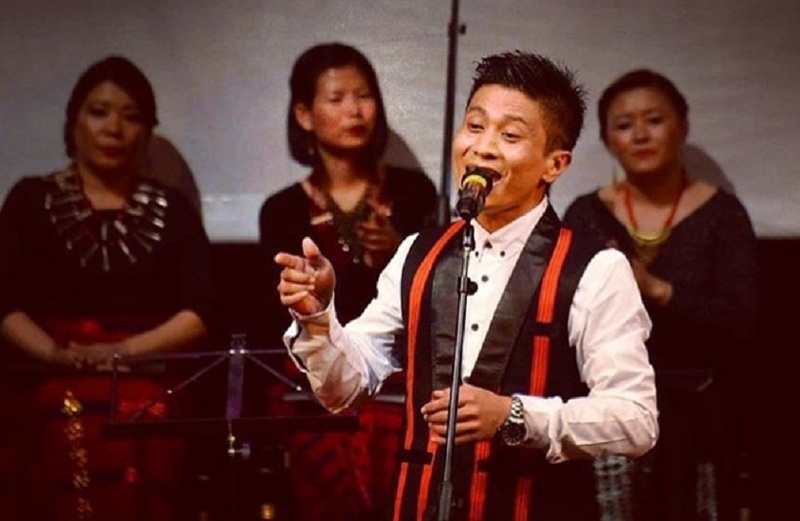 Maker Kashung singing for the President of India at Rashtrapati Bhawan, New Delhi. Maker Kashung singing for the President of India at Rashtrapati Bhawan, Delhi. Tell us what’s been keeping you busy these days and what are your future plans. I have been traveling a bit for concerts and workshops off late. But I am back in Delhi now, and my church choir is gearing up for the 7th North East Choral Competition. My passion is music and church. Whenever I visit churches, I see the need for theologically sound musicians and choir directors who would not only carry out their music responsibilities but also tend to the spiritual needs of the church and their members. Therefore, I am praying and hope to start a program to cater to this need and especially those concerning church musicians. I also hope to recruit members for my band and start performing again. 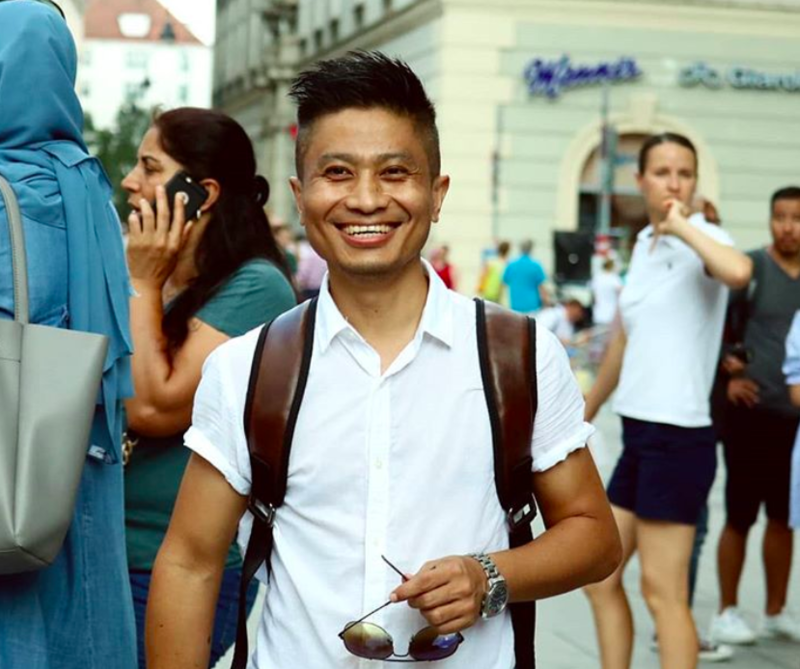 Previous Post“Travel does the heart good” – Boba Nandeibam from Manipur Talks about His Globetrotting Adventures Across 31 Countries!